The new doughnut shops will open over the next few years in the downtown area of Chicago and "throughout Cook County"
Chicago's doughnut scene is about to expand, with the addition of eight new Krispy Kreme locations. Throughout the next few years, Krispy Kreme will open the new locations in the downtown area of Chicago as well as "throughout Cook County," the doughnut chain announced Tuesday. The exact locations have not yet been released. Krispy Kreme used to operate several doughnut shops in the Chicago area, but all of them have since closed except one location in Elk Grove Village. Despite the previous closings, however, Krispy Kreme officials indicated that Chicago wants them back. “There’s a high demand for Krispy Kreme in the greater Chicagoland area,” said Patricia Perry, Krispy Kreme’s Vice President, US Franchise Development. The doughnut company signed a development agreement with Chicagoland Restaurants, LLC, to build the eight new shops. 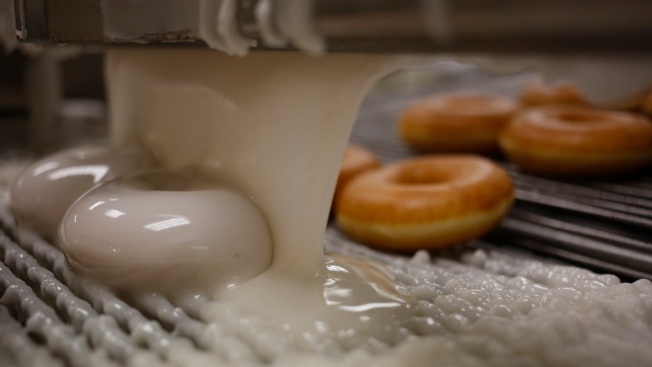 Krispy Kreme was founded in 1937 and now has more than 1,000 doughnut shops in 24 countries.